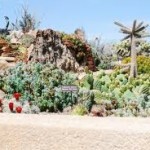 The Western Colorado Botanical Gardens connect visitors with the beauty of Colorado River Basins and Plateau by providing opportunities for education, science, conservations and community events. 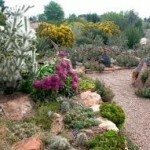 In 1994, the Western Colorado Botanical Society entered into a long-term lease with the City of Grand Junction for a 15 acre site along the Colorado River. Thousands of volunteer hours were donated to remove the acres of debris before construction could begin. The tropical greenhouse opened on November 8, 1997. Native butterflies were introduced in 1998 into the Butterfly House.